Free Black and White Posters are available for your branches from the SCBA. Recent changes to state law have increased the penalties for robbing individuals in the vicinity of an ATM. 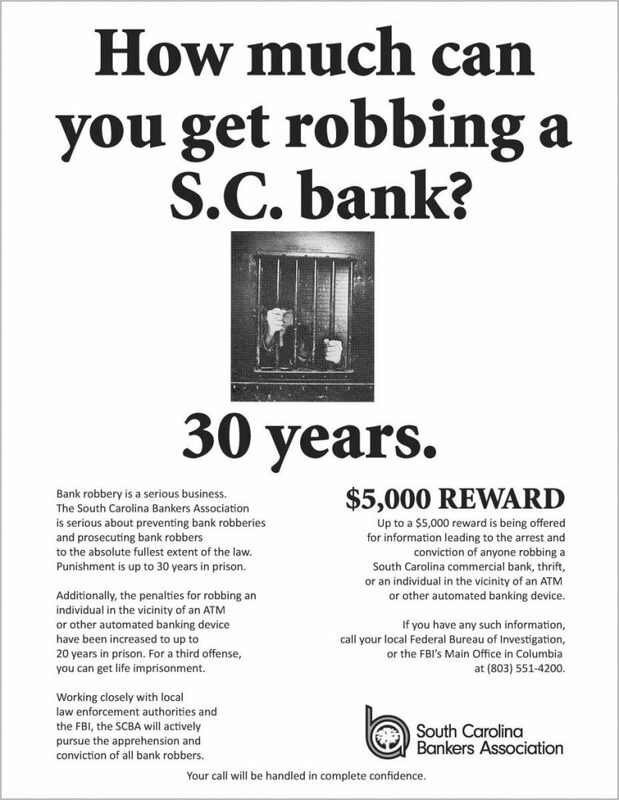 The SCBA has updated its FREE Bank Robbery Poster program to reflect the NEW 30-years-to-life penalty. The SCBA’s bank robbery poster program offers a reward to individuals who offer tips to the police that lead to bank robbery convictions. Please verify and dispose of any older versions of this poster in your lobby (the poster was last updated in 2009). To download and print a copy of the Bank Robbery Poster, click here.